Real Love Companion: Taking Steps Toward a Loving and Happy Life, by Greg Baer M.D. Reading Real Love: The Truth About Finding Unconditional Love and Fulfilling Relationships is much more than an intellectual exercise. The principles become far more powerful when you can see how they explain your own feelings and behaviors, and when you can see how you can make wiser choices in the future. 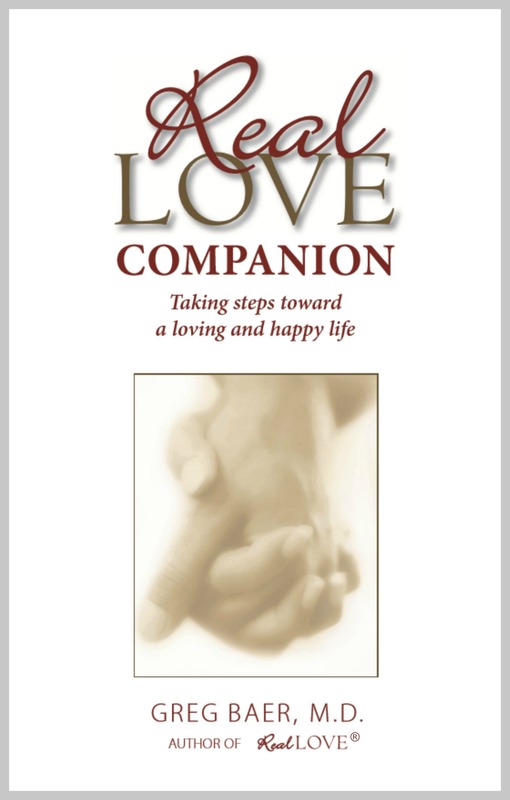 Everyone who reads Real Love will benefit enormously from the practical applications found by reading the Companion. Real Love is also available for the Amazon Kindle here.